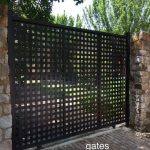 Because the, entrance gate, to any property sets the tone for what is to follow, the right, steel gates add value and street appeal to your home or business, and for driveway gates that create the right impression, look no further than timeless, iron gates, hand forged by the team at WESTGATE GATES, Wrought iron metal, has been a long appreciated outdoor building material for centuries. When used as part of a steelfence, and gate design, it brings an authoritative presence to any property. Quality wrought iron is also a product that will last a lifetime. The strength of our, iron driveway gates. 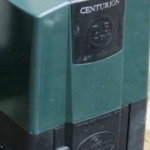 means they will stand up to all weather, including the harsh climates of South Africa Bi Parting gates,, Swinging gates, and Sliding Gates, Our gates are so much more than just a way to restrict access. With our personalised design service we can custom create unique styles of, driveway gates, to suit the design of your home aesthetic preferences. 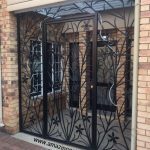 From regal spears, horizontal and vertical columns, sweeping curves and intricate, metal twists, and wrought iron spirals, Westgate can tailor a specific, driveway gate in Gauteng, to suit your needs. Our iron driveway gates, are an important feature of any property and are built to stand the test of time. Wrought iron has the potential to capture many artistic styles including Art Nouveau gates, Art Deco gates,Gothic gates, and even Baroque style gates, and imposing entrance are the perfect place to command attention and make the right impression. 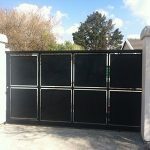 Driveway Gates, with Strength and Security With robust protective coatings and an expert installation your iron gates, will offer your home the strength and stability you can only expect from the expertise of the iron gate specialists at Westgate Manufacturing,while boosting the perimeter security of any property.